This week’s photo challenge by Krista Stevens allows me to present a gallery of images, all reflecting the hobbies in which this lucky retired guy is able to participate. You can read her entire challenge post here. First and foremost, I’d rather be flying. 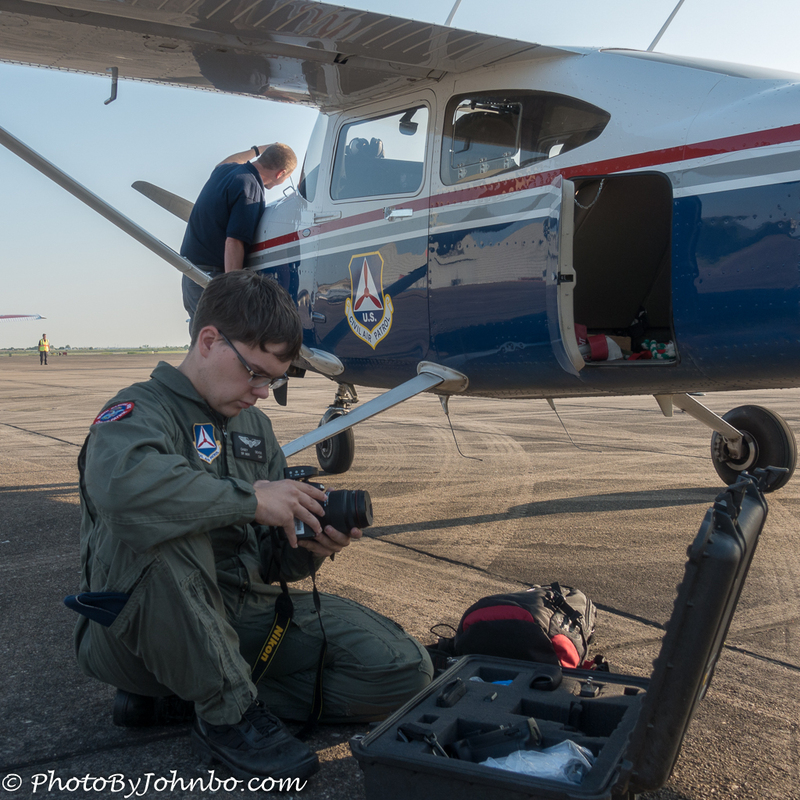 In the opening shot, two colleagues of mine in Civil Air Patrol are preparing for a photo mission. Casey, in the foreground, holds the rating of aerial photographer. He’s checking the settings and preparing his camera for our photo survey flight over a flooded area. In the background, Shawn is checking the oil in the engine as he is performing part of the aircraft’s preflight checklist. 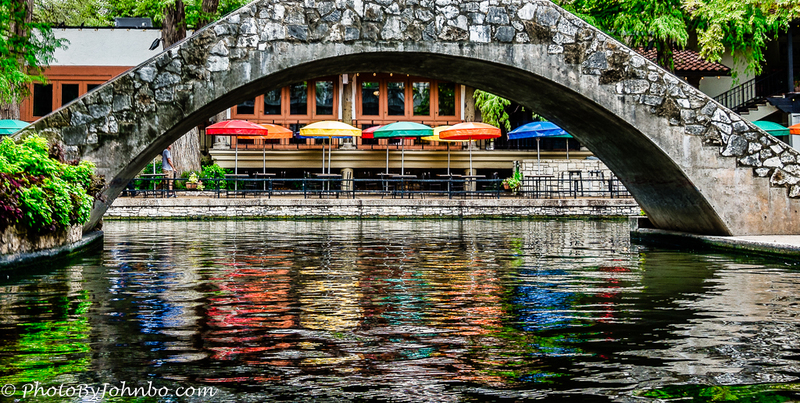 The image above was taken from one of the tour boats while it maneuvered along the canal known as the San Antonio River Walk in Texas. A conference in San Antonio gave me the opportunity to make my first visit to the city that is home of The Alamo. I found a cruise or a walk along the shore of this American Venice is something that I now would rather do. 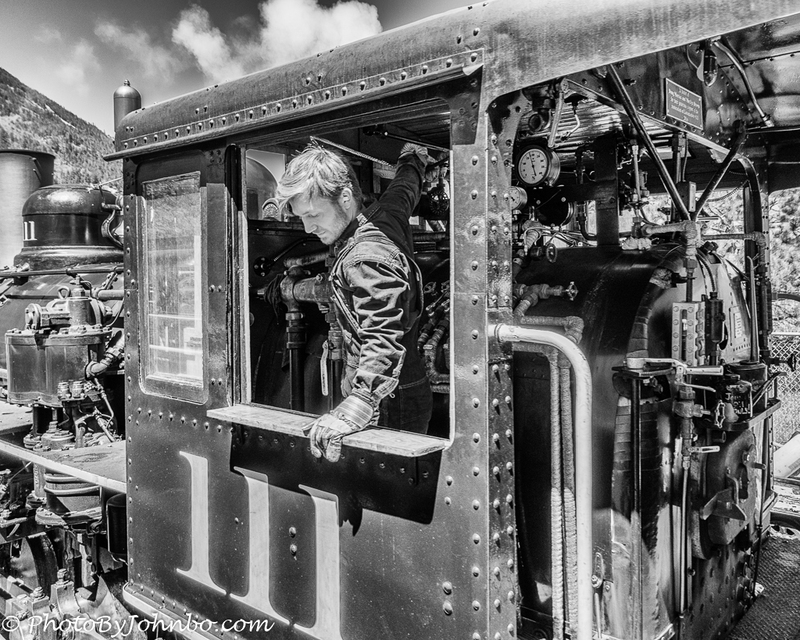 Riding on a steam train out of Georgetown Colorado, or for that matter riding on any train is something I’d rather do. I don’t get a lot of opportunity to ride the iron rails, but when I do, I am sure to buy a ticket. Classic Cars, classic planes, classic anything… I’m there. Barrett-Jackson Scottsdale, Arizona is a place I found I’d rather be, every January. 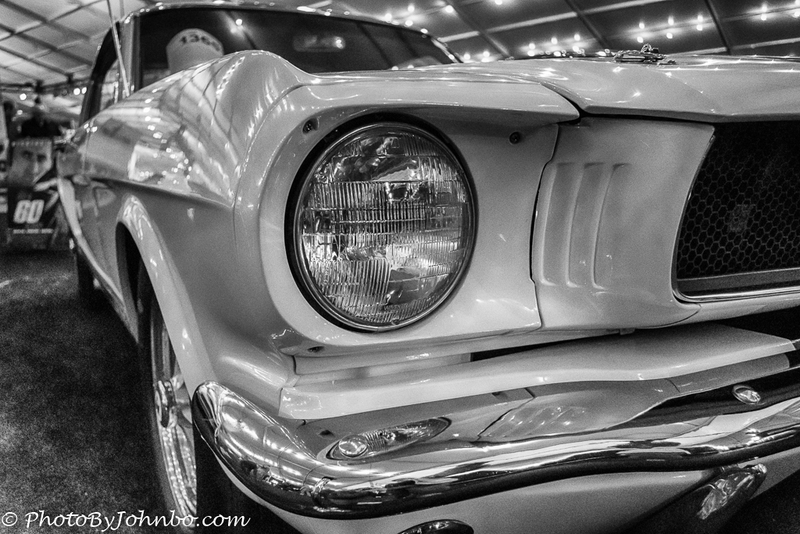 The classic Mustang above is but one example of a great collection of fine (and not so fine) automobiles. 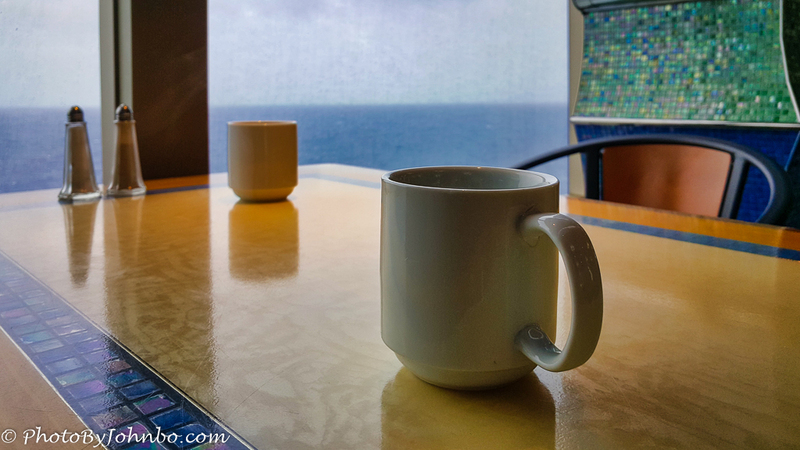 Early in the morning, I’d rather be drinking my morning coffee while on a cruise ship sailing to someplace that I’ve never been. Since I retired, my wife and I have had the chance to take three cruises. We plan to take more in the future and we are actively considering a European River Cruise as Europe is a continent we’ve never visited. 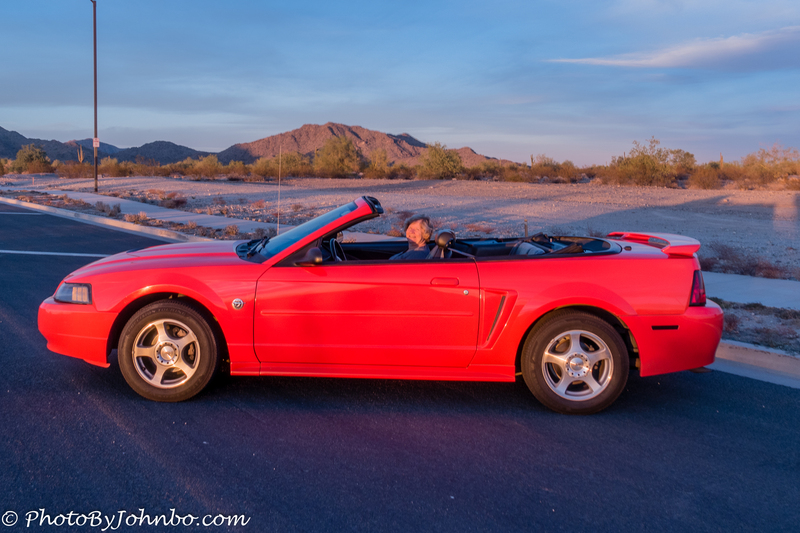 Lastly, and certainly not least, I would rather be driving the Mustang around the Arizona desert or even just awaiting the best views of the sunset in Buckeye Arizona as we were when I captured this photo of Lynn and the Orange Pony. I guess that the one thread that is going through this “I’d Rather Be…” post is that I’d rather be traveling, taking photos and sharing them here and on social media. I didn’t get to travel much in my job, and now that I am not tied down to a job, I am fortunate to be able to find myself in a plane, on a boat, on a train, or in a car traveling to someplace where I’ve never been before. Great selection of photos & of things to be doing! I love the River Walk!